On our way to …. Nafplio! Next stop Nafplio: It’s holiday time at long last, and my partner and I are now on our way back to Greece to explore part of a region we have never visited before — the eastern Peloponnese. Our first destination will be Nafplio, the former capital of Greece, which is often described as one of the most beautiful towns in the entire country. We have heard so many good things about Nafplio, and the many impressive attractions nearby, that we figured it was high time we checked it out for ourselves. I’ll post photos from Nafplio if I’m in a blogging mood while we’re there. In the meantime, I’m sharing this Stefanos Kyriazis timelapse film of Nafplio so readers who aren’t familiar with the town can see what it looks like. More on Nafplio to follow! Great!! Nafplio is a wonderful place to start your holidays!! If you take the road from the beach down to Leonidio you will meet perfect sites!! Have fun. 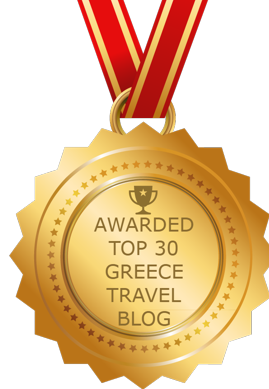 The best place to visit if you are staying in Athens! It is only two hours away from the capital of Greece! Many historical and archaeological sites near Nafplion and on your way there! Don’t miss the opportunity! You will love the old town!